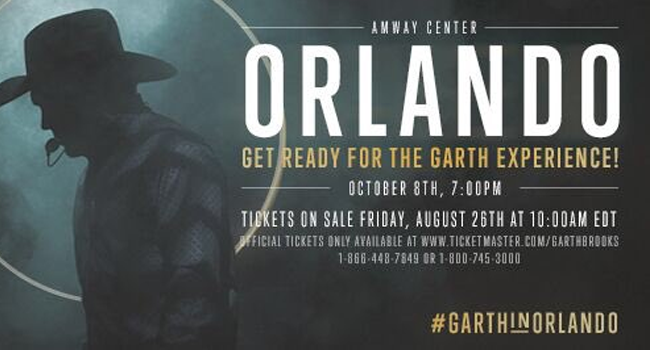 Due to weather concerns, the Garth Brooks concert scheduled for Thursday, October 6th at 7:30 pm at Amway Center in Orlando has been rescheduled to Sunday, October 9th at 3 pm. All tickets for the Thursday, October 6th at 7:30 pm show will be good for Sunday, October 9th at 3 pm. The previously scheduled shows have not changed.